DO-08298-62 was succesfully added to your cart. Usually ships in 16 days. 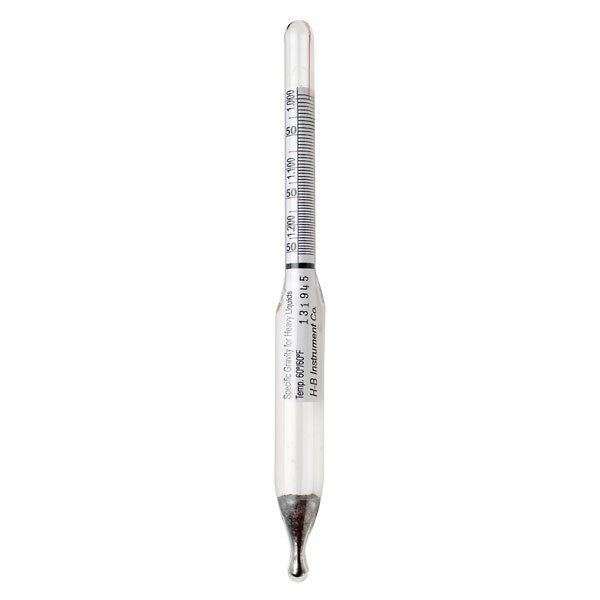 Each hydrometer is calibrated in a triple accredited ISO/IEC 17025:2005, A2LA accredited laboratory against equipment whose calibration is traceable to NIST. Individually packaged with a multi-language Statement of Accuracy indicating accuracy traceable to NIST. Usually ships in 11 days or sooner.